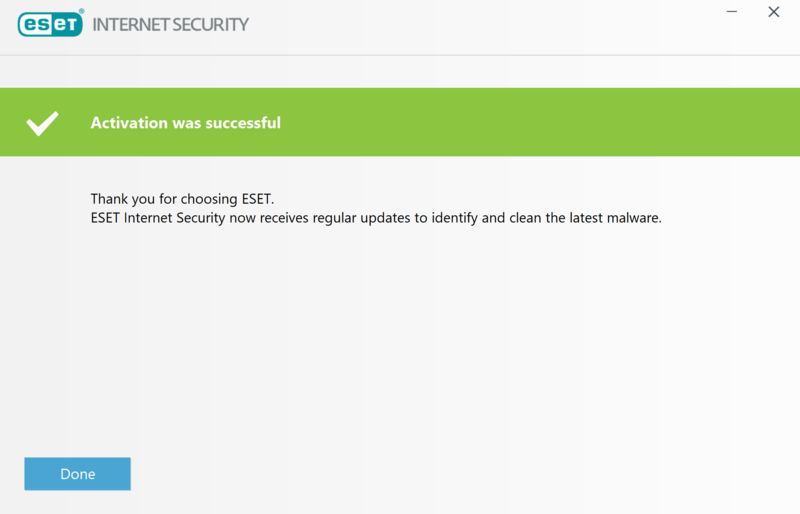 Activating your ESET license on Windows should just take a minute. 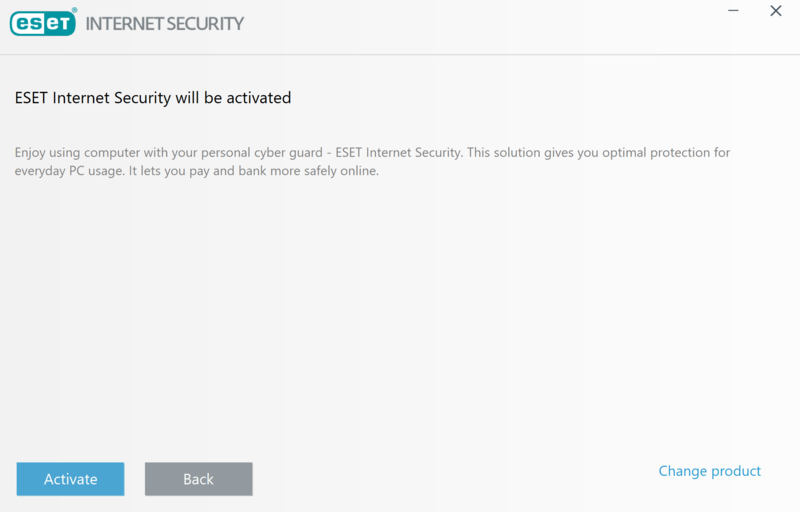 Make sure you have you valid license code ready and follow the steps below to activate the ESET anti-virus product on Windows. Click on the "Activate product" button as pictured below. 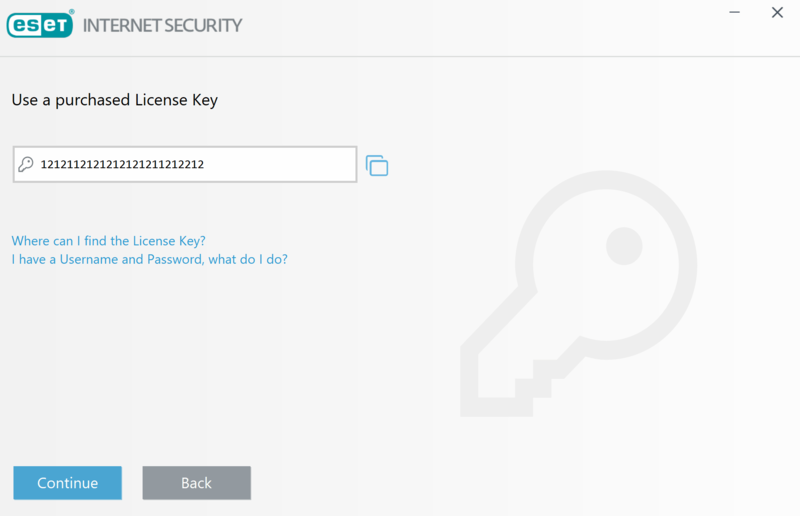 Select "Use a purchased License Key" on the next screen as per the screen shot below. Enter your license key code in the box and click "continue"
Click "Activate" to activate the license on your device. You should receive a success message that the product was activated successfully. 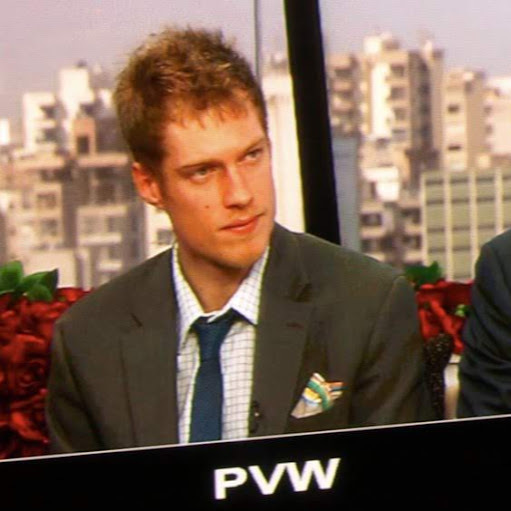 If you need assistance, please get in touch with our Support Team.